I’m recording the indigenous flora found on our 100 acres. 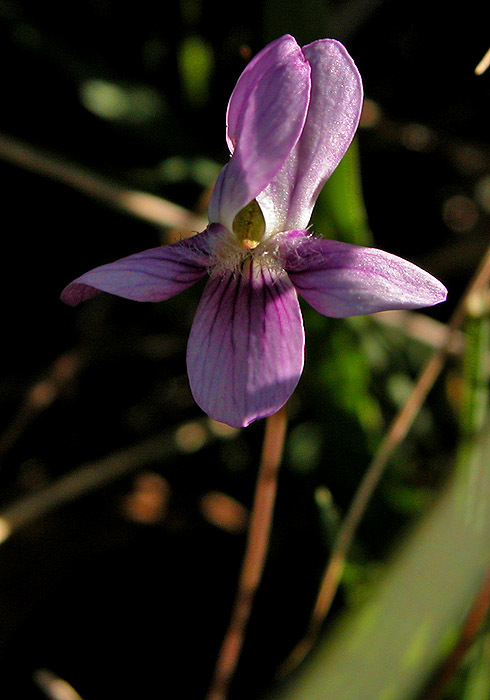 Today I found the first terrestrial orchids of the season. All photographs were taken with a Nikon Coolpix 5700 in macro mode, a Velbon tripod, and me on my hands and knees. I’m looking forward to the day (or perhaps year) I can upgrade to a macro lens on my Nikon D70. An audioBlog accompanies these photographs [3.2 Mbytes, 6 min 37 sec duration]. The audio commentary is also distributed as a podcast. You need to subscribe to my RSS2 feed towards the bottom of the right hand column on this page and you need to use aggregator software capable of utilising this. 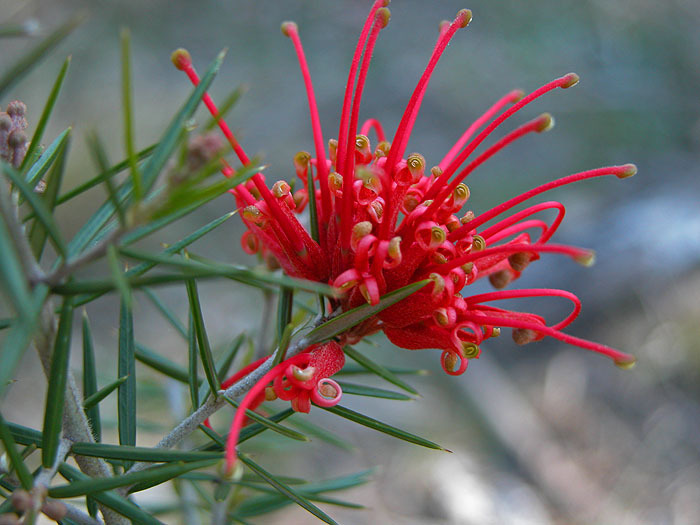 The colourful flower of a grevillea. 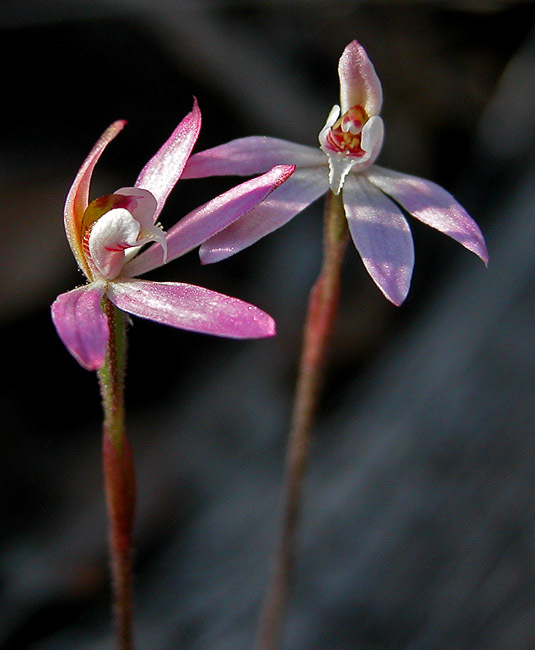 These nectar-full flowers are great for attracting small birds. 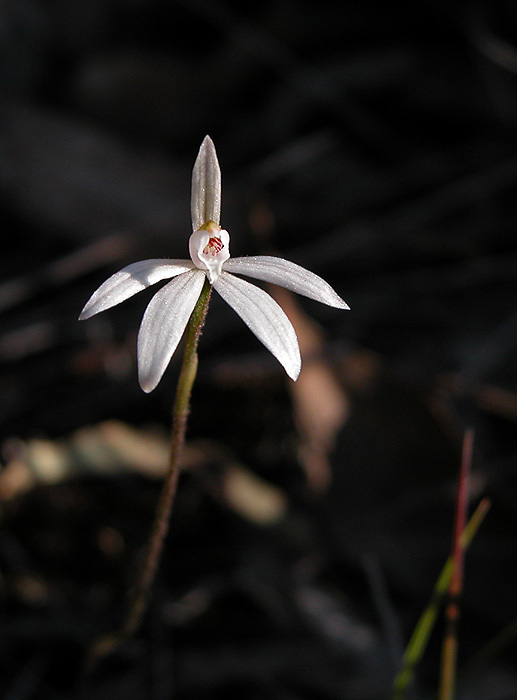 … a white Caladenia, perhaps a Caladenia alba, sits in the midst of the five pink ones. 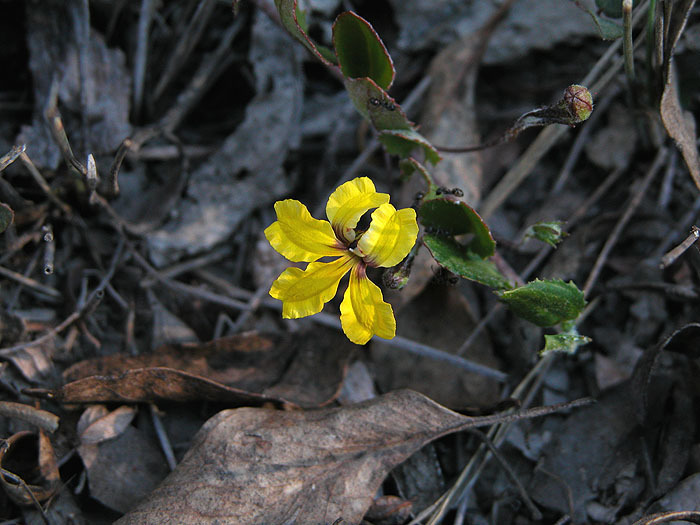 Of all the indigenous wildflowers found on our property, the Goodenia is, by far, the most common. 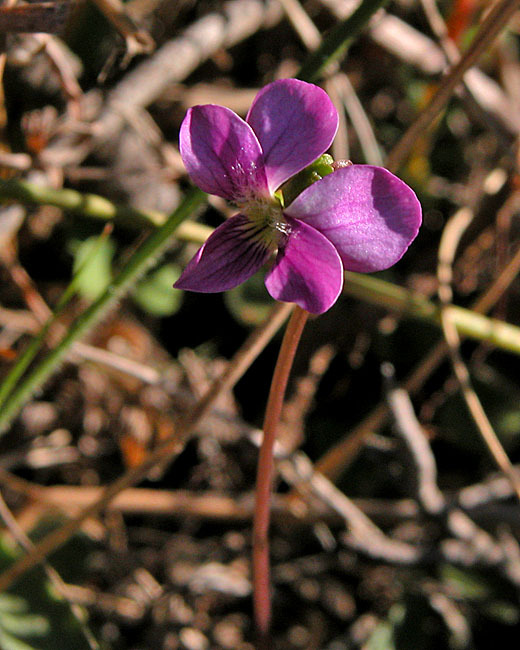 Several species are to be found and are, variously, in flower for 8 or 9 months of the year.